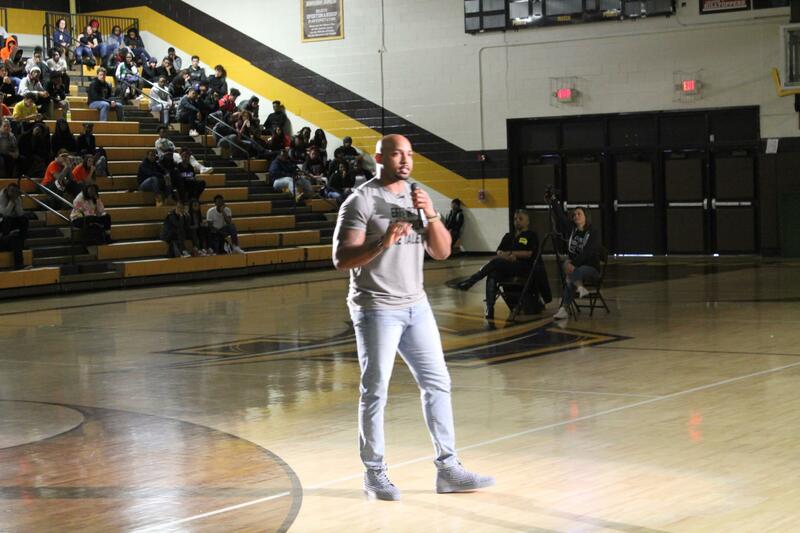 The SEL Schools hosted its first-ever Arc Elite Community Outreach Day earlier in the week, featuring Brush High School Alumnus, Roy Hall, who was an Ohio State University standout and played in the National Football League. The event was a day of inspiration and community outreach for students and staff members. 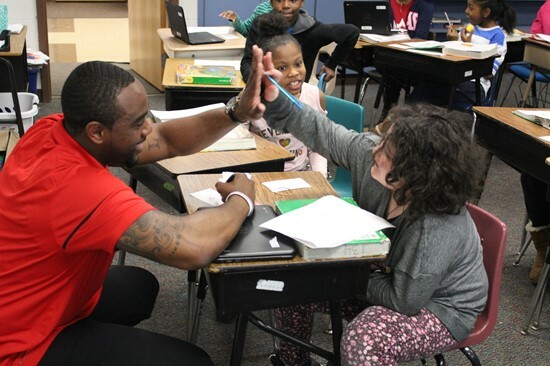 Reading sessions took place throughout the district, motivational assemblies were held with Mr. Hall and nearly 10 other former Ohio State Buckeye or professional athletes and a charity basketball game was held in Welser Gymnasium. A community Bar-B-Q Dinner then took place in the Brush High School cafeteria from 5:30 – 7:00 PM. where former guest Buckeyes spoke to the crowd, a silent and live auction was held and autographs were given. The SEL Schools kindly thanks Roy Hall, his Driven Foundation and the other former past athletes who helped to organize this day, plan for the important discussions about character and leadership and help with the community Bar-B-Q. A fantastic time was had by all involved!